Fashion Week is meant to be a dazzling display of creativity and ingenuity and showcase the best and the brightest that we have on the planet. Clothes that make it down the runway will inspire new trends and fashion statements, and ensure that the Primarks of the world get to work at creating cheap knock offs very quickly. Amongst all the loveliness, there are some questionable choices, and none moreso than in the world of beauty. We’ve seen trends that are meant to inspire, but I’d say avoid at all costs. 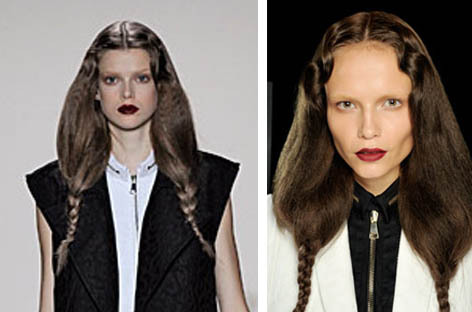 Here’s my rundown of the Fashion Week Beauty Trends that are a total fail. This show featured fierce looking models, with fiery eyes and slick hair.. but all anyone could notice was the strange twig like eyebrow they were all sporting. Beauty fail alert. 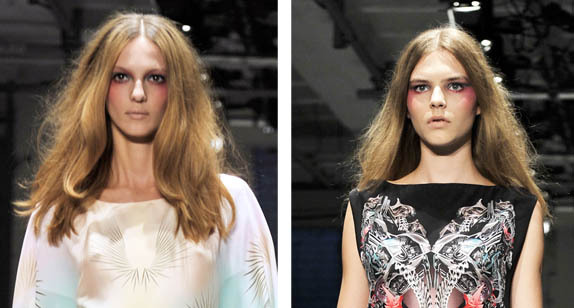 This show featured models in cool printed tunics with flowing locks.. and what looked like a black eye. 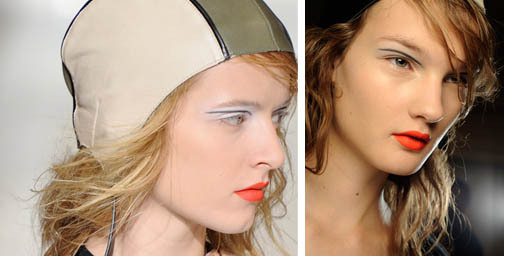 I can’t see the ‘Punched in the face’ look ever working as a style statement, so go easy on that eyeliner. This look barely worked for Leia, and there’s no way it will translate into high street style. Geeks will love this, but high fashion it ain’t. 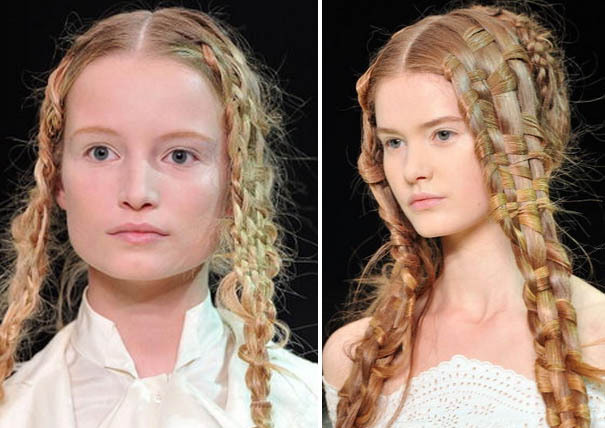 This style is really pretty, and I love the thatched Cinderella hair effect the models are sporting. 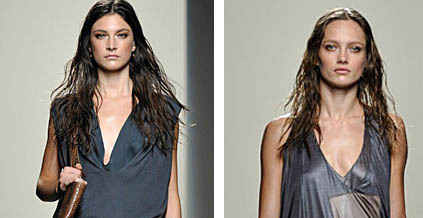 I don’t think it would be that feasible as everyday wear though- it looks like hours went into creating those tresses! We might have managed to make ‘bedhead hair’ an art in recent years, but the ‘caught in the rain’, or ‘just out the shower look’, hmm, I don’t think so. Eyeliner goes under the eyes, or on the lashline.. not halfway up the eye socket. Thumbs down for this haphazard style.